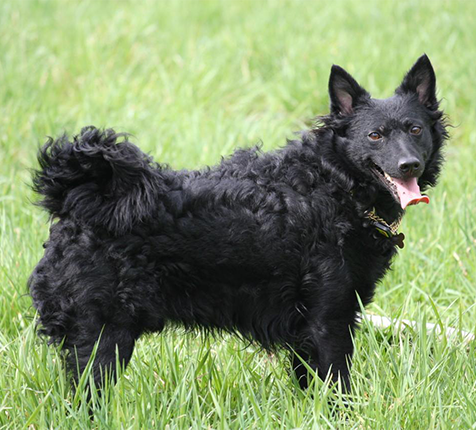 Alert, active, and intelligent, the Mudi (pronounced “moody”) is a highly trainable dog capable of performing just about any task well, including hunting, watchdog duties, performing in agility competitions and obedience contests, search and rescue missions, and more! Also known as the Hungarian Mudi, this breed originated in Hungary where it was used for its natural instincts to herd large flocks of sheep. Mudis are eager to please and full of enthusiasm, characteristics that combine well with their high intelligence and alertness to make a well-rounded four-legged friend. They are also easily trained and make excellent watchdogs. Mudis can make a great family pet if properly trained.